“Wheatgrass might even kill cancer cells. You should try it.” Jack Murphy proudly displayed his small window box garden to his friend Martin Katz. Martin stepped outside and walked the two blocks to Telegraph Avenue. Dashing across the street toward the bus stop, he didn’t see the speeding driver running a red light. Martin didn’t make it to his doctor’s appointment. I wrote this for the Rochelle Wisoff-Fields flash fiction challenge. The idea is to use the image at the top as the prompt for crafting a piece of flash fiction no more than 100 words long. My word count is 98 (including the proverb). I know this one is a little dark, but while it is prudent to plan for the future and to take all reasonable steps, ultimately, we don’t control the universe. man plans.. god laughs.. that was a blast! Thanks, and it really is a Yiddish proverb. Martin is one unlucky guy. If there is a silver lining it’s that the cancer didn’t get him, but it’s not much of a reprieve. Well, no matter how much we try to control our lives, there are events we simply can’t predict, although if he’d looked both ways, who knows? Ah, the irony if the wheatgrass would have cured him. Great read. So true. You never know which day will be your last, fortunately. There’s another Jewish proverb that says something like to live each day as if it were your last. Oncologist appointment to hospital emergency. Something was not right in his kismet. I guess that’s true. Thanks, Trent. I was so sure the wheat grass was going to turn out to have cancer causing pesticides or something. The bus caught me by surprised. Good, Alice. Stories should have a surprise. And the fellow growing them in his window boxes is an “all-natural” kind of guy, so no pesticides. A neatly ironical story. 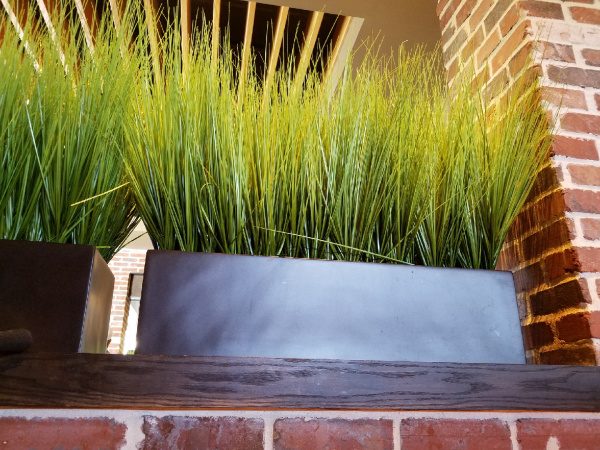 Wheatgrass in a window box won’t stop a speeding car, alas. You just never know what’s waiting around the corner. When our time is up, it’s time to move on, but what awaits the speeding driver? The word count limit prevents us from exploring his/her fate. I love the “helpful” friend. The world of autism is full of such concoctions and “cures.” Im glad he was skeptical of the water from the fountain of youth, and went about his business, even if that meant meeting his maker a little earlier than planned. Love that proverb! If only the bus was blaring Dire Straits’ “Telegraph Road”…then it would have been poetry! What effect 🤔 he consumed grass and then died. Facetious I know just playing with words. We can eat lemongrass to supposedly cure cancer (My Dad did) we can eat paleo, organic, vegan or only meat but still get run over shot or run out of breath. The only guarantee is we are born and we die. True. So live each day as if it’s your last (except keep putting dough into the 401K just in case). We’re not promised tomorrow. Heck, we’re not even promised the rest of the day, are we? Nope, Rochelle. We’re certainly not, so we should cherish what we have while we’re still here. The best laid plans of mice and men often go astray. Lovely write. Live for today – tomorrow may never come. Perhaps Martin’s quick death was less painful than the one coming more slowly. Perhaps. In that case, it could be a blessing. Oh my James, if one thing didn’t get Martin another will. Something gets us all in the end. Thanks, Isadora. Oy. So true, you never know how your day will end. Well, you can still look both ways before crossing the street, Dale. Not his lucky day. Though it was a quick death. Live every day to the max eh? Poor Martin, shows that anything could happen at any time. Strange way to “beat” cancer. Highly original take. Someday, life “beats” us all. It’s how we live each day that matters. Every day is a gift, to appreciate and enjoy. Well written story! What an unexpected turn of events. We have the present. We don’t know what the future holds. Some people get up and head out, not knowing that they will not make it home that day. As some have commented, we don’t know when our time’s up. Every time we live to see another day, we ought to be thankful. Life is short and it’s precious. Well done story, James. It is true that we don’t control near as much about our lives as we think we do, but to hedge our bets, we still contribute to our retirement funds and save for next summer’s vacation. Thanks.